Time for an update on what we’re up to. In March, we’re heading to San Diego, USA, for CSUN, the largest conference on assistive technology in the world. We’re running four sessions at CSUN, and we’ll also be giving demos of OzART, OzPlayer and OzWiki at our booth. If you’re going, make sure you stop by and say hello. And even if you’re not, see below for more info. This year’s CSUN conference takes place 19-23 March in San Diego, and will have a very active presence from AccessibilityOz. AccessibilityOz will be running four information sessions: three presented by Gian Wild and one by Kisiah Powell-Timmons. Interactive Maps – How Do You Make Them Accessible? Come along to our sessions – all attendees receive three months’ free access to OzWiki and have the chance to win a large toy koala. 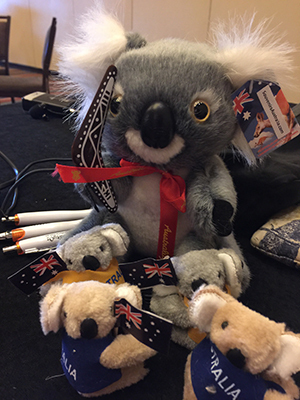 You should also drop by our booth (Booth 714 in the Grand Hall), where you can see demonstrations of our major products and services including OzART, OzPlayer and OzWiki (and get yourself a mini toy koala). We’re very excited that our free topic-based Accessibility Factsheets are currently being reviewed and revised by our Technical Accessibility Specialist Russ Weakley, who also happens to be a world-class author, video producer, trainer and user experience consultant. We’re going to continue to provide this excellent free resource alongside our subscription products and services. Kicking off 2018’s PEAT Talks series, Larry Goldberg, Senior Director of Accessible Media at Oath (formerly Yahoo), and Jeff Wieland, Director of Accessibility at Facebook, shared their experiences creating Teach Access. This initiative sets out to bridge academia and industry to resolve accessibility issues long before consumer technology reaches the public. Divya Amirtharaj, 16, won the Thor: Ragnarok Superpower of STEM Challenge by inventing an app that assists people with low vision. It’s very pleasing to see the current interest shown – and genuine progress made – in improving accessibility in higher education. 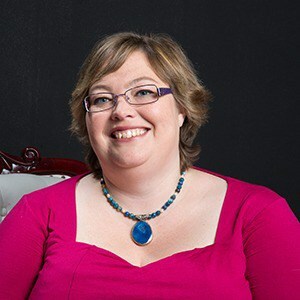 AccessibilityOz has been actively promoting accessibility for tertiary level students since CEO Gian Wild founded the company in 2011 (she spoke at the Accessing Higher Ground conference in Boulder, Colorado that same year), and it’s gratifying to see things moving now from discussions and proposals and plans to actual implementation. A good example can be found in a 3Play Media webinar that took place on 15 February, 2018: University-Wide Accessibility: Supporting all Students and Faculty with Disabilities in Higher Education (recording with linked transcript available). Ensuring that university level education is accessible to students with disabilities continues to be a key focus for us at AccessibilityOz, and we’re proud to be involved with some very exciting initiatives. CSUN Assistive Technology Conference, 19 to 23 March, San Diego, USA. The largest assistive technology conference in the world. DrupalCon Nashville 2018, 9 to 13 April, Nashville, USA. Gian will be presenting the opening keynote on Accessibility Standards at the Higher Education Summit. Codemotion Rome, 13 to 14 April, Rome, Italy. Gian will be presenting Mobile and accessibility: the good, the bad and the ugly. GlobalMindED 2018, 9 to 11 June, Denver, USA. Hundreds of dedicated professionals and students will come together to target educational change.